I hope you all enjoyed the event at Synergy with Dr Parviz. We are already making plans for the next one! Lots of photos were taken also and have been uploaded to Facebook here. 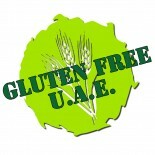 This entry was posted on 29/04/2012 by glutenfreeuae in Uncategorized and tagged dubai, health.